TEN will broadcast A-League and Socceroos matches after FOX Sports on-sold matches. The deal was finalised after Football Federation Australia held a tender with FTA channels and ABC. ONE will take a live simulcast of FOX Sports’ 7.30pm Saturday night match from October including the commentary team Mark Bosnich, Robbie Slater, Simon Hill, Adam Peacock, Andy Harper and Tara Rushton. Socceroos games will start once this World Cup Qualifying cycle has ended. Selected games will also be streamed Live on tenplay, as well as Foxtel Go. TEN CEO Paul Anderson, said: “We are very proud to partner with Football Federation Australia and FOX Sports to bring the Hyundai A-League to our viewers on ONE and tenplay every Saturday night. “From October this year, 27 home and away Saturday night matches and five finals – plus Socceroos matches from next year – will have a new home on free-to-air television. We will provide a consistent timeslot on ONE for 30 weeks of the year, promoting the Hyundai A-League and its best game each week to all of Australia. Football Federation Australia chief executive David Gallop said, “This is a win for football fans and an opportunity for us to showcase our game on a commercial network with a recent history of successfully covering major sport. “We will take the biggest matches of the Hyundai A League – such as the Saturday night derbies – into every household in Australia Live for the first time,” he added. 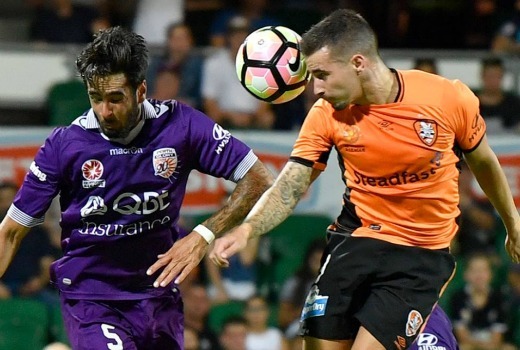 The deal comes after FOX Sports signed a six-year agreement with the FFA to continue live coverage of every A-League game, along with coverage of the Socceroos, Matildas, W-League and FFA Cup. For those who don’t have Fox Sports at least those can watch A-League on ONE (standard) it’s better than nothing. To be fair, all “main” channels are in SD but simulcast in HD on another channel. Don’t think this would have happen if Foxtel did not have a slice of Ten on its books? They didn’t have SBS on their books when they had coverage? I don’t get people who think shows should be on the main channel. In my view they are all channels to watch regardless. I know no one who does not have a HD TV or desk top box these days. If you going to watch sport you won’t care. Being on the main channel = HD quality. Unless we’re talking about Seven…. I would have thought Ten should try this on the main channel – would be more prestigious, in HD and a better way to build up the soccer and on Ten won’t do worse than what they already air Saturday nights. I just hope that not every scheduled Saturday night game involves a Sydney or a Melbourne team like the 2016/17 season did every week. Are the finals live? I’ve read some articles that clearly state the home and away matches are live but there when it comes to talking about the finals there is a vagueness with the language which leads to confusion. They have previously been delayed on free to air. An interesting point. I’d assumed the AFL deal was HD Nationally, perhaps not, as that would mean 7HD would become 7SD in Syd/Bris (7Mate switching to HD). The Syd/Melb 7Mate schedule changes at 4:30pm Sat and 7HD at 12:30pm Sat. Intriguing. Just hope it pays off for Ten. They don’t sound overly confident. So expect to see a lot of Melbourne Victory & Sydney FC games on Saturday night. ??? The Derbies yes but not the one of the same 4 teams playing the same time every week. It got annoying to supporters of the other teams & turned a lot of viewers off. Totally agree. I want to see all the teams play on different weeks not just the 2 most popular fan based teams. I bet we will never see Perth Glory or the New Zealand team play because of the time difference. This season was terrible for lack of variety in the games. I can’t remember any season before being so annoyingly predicatable. Hopefully the FFA/Foxsports receives an upfront payment, if any? Is arguable that the other networks would have paid any cash anyway, especially as it was always going to be relegated to a multi-channel to whatever network it landed on.